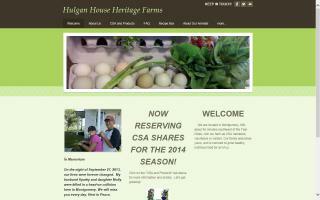 Hulgan House Heritage Farms is a small, family owned and operated diversified farm in Montgomery, MN, about 50 mi. SW of the Twin Cities. As a champion of organic farming, open-pollinated/Heirloom produce and Heritage livestock, we are committed to promoting sustainable agriculture, environmental stewardship, and social justice through education, conservation, and activism. When you purchase any of our farm products, you are directly assisting us in our efforts in these areas and casting your vote for a more just, secure, food future. Our farm provides CSA customers with a weekly share of sustainably and naturally raised produce for 16 weeks, beginning in early June (weather permitting). Each box contains seasonal vegetables, herbs, flowers, and fruit. A Full share is sufficient for 4-5 people, and the Half share should satisfy 2-3 people. We also raise Heritage chicken, eggs and holiday Heritage turkeys, all available separately or as add-ons to our CSA shares. 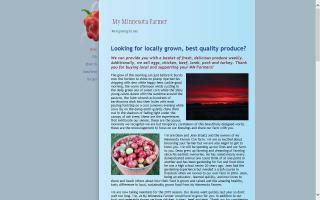 My MN farmer CSA providing fresh locally grown MN produce in a Community Supported Agriculture. Including apples, raspberries, eggs, and many other fruits and vegetables.